In January 2005, fifty-five students from various Universities throughout Canada participated in a stream and habitat restoration class that visited Eighteenmile Creek's Area of Concern. The class was led by Dave Derrick of the U.S. Army Corps of Engineer's Research and Development Center (USACE ERDC) and Paul Fuhrman of Ecology and Environment (E&E). While visiting the creek, the students were able to gain first hand knowledge of the activities that were completed under the Eighteenmile Creek Streambank Stabilization and Habitat Restoration Project. Dave Derrick informed the students that the project activities included removing debris from the area, improving the existing hiking trail, stabilizing eroded stream banks, improving habitat for fish, reducing pollution and planting vegetation in needed areas. Paul Fuhrman explained why adequate habitat is so important to fish species present in this portion of the creek. 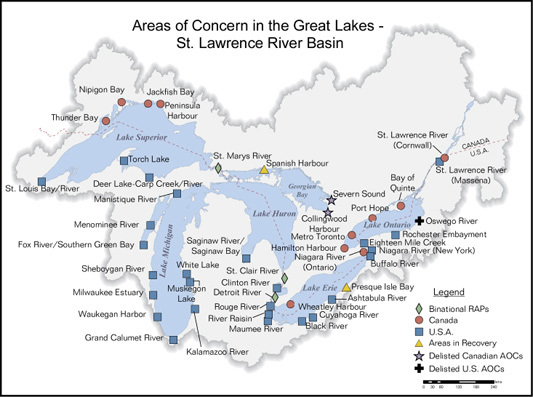 He also described how the project attempted to mimic existing habitat conditions already present in the project area. Both gentlemen also touched upon specific habitat restoration efforts that were completed as part of the project. Although not visible, fish lunkers were pointed out as an important aspect of the restoration process. 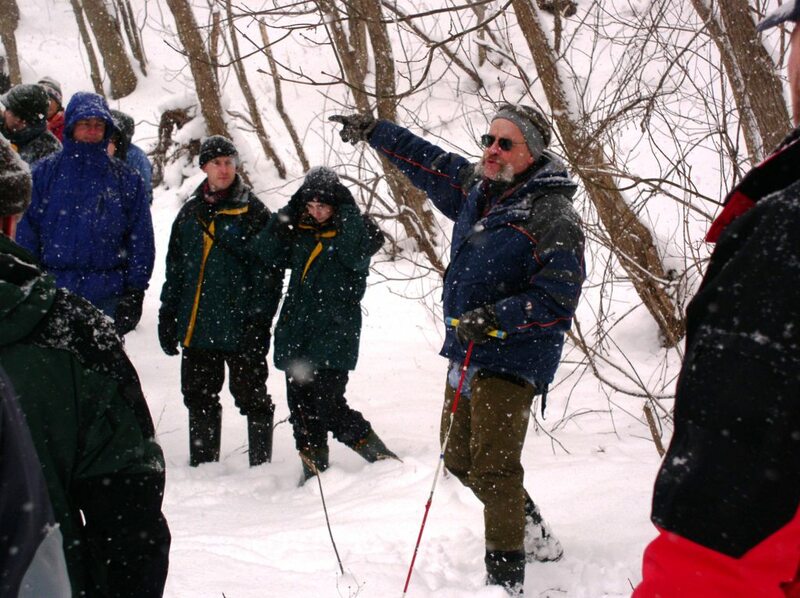 In December 2005, the Area of Concern was the location of an outdoor classroom for a group of students from Buffalo State College (BSC). USACE staff, NYS DEC staff, BSC professors and the principal investigator were on hand, along with a group of 30 students enrolled in a watershed analysis class. A tour of the AOC and corresponding lectures by those present educated the group about the history of the Area of Concern and the accomplishments that have been achieved thus far, specifically the 2004 habitat restoration project. 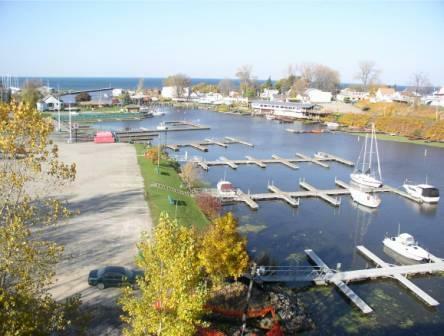 In August 2006, the AOC was the location of an Army Corps of Engineers led tour for individuals attending the 2005 Soil & Water Conference held in Rochester, NY. The tour educated the group of 20 about the history of the AOC and the accomplishments that have been achieved thus far, specifically the 2004 habitat restoration project and various contaminant track down projects underway throughout the watershed. from around the country visited the Eighteenmile Creek AOC. A tour of the restoration work that has been completed in the AOC was given as well as a review of habitat restoration planning, permitting, regulatory compliance, conceptual design, design and construction constraints, planting plan, and innovative bioengineering features as they all applied to Eighteenmile Creek completed projects. 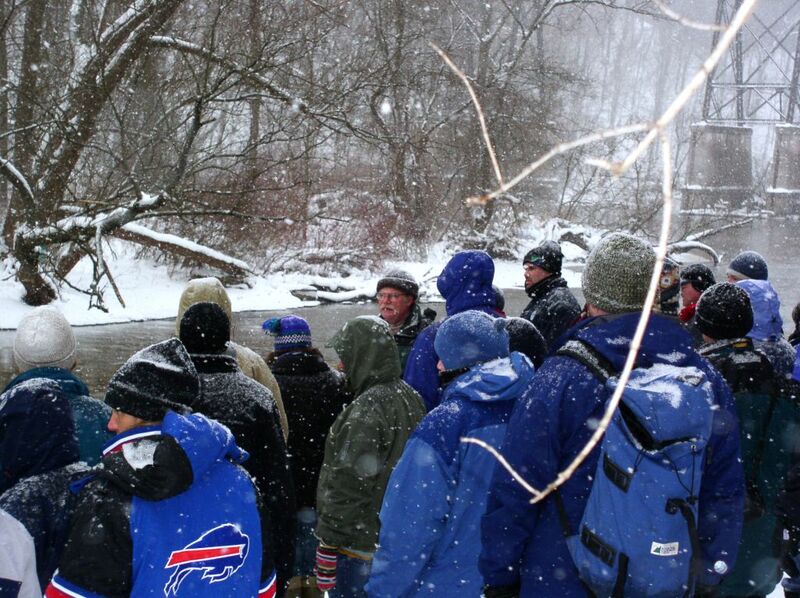 On October 27, 2008, AOC staff led a field trip of the Eighteenmile Creek AOC for a class of graduate students from the University at Buffalo (UB). Twenty six students were on hand to experience the AOC up close and learn about the issues relative to Eighteenmile Creek. 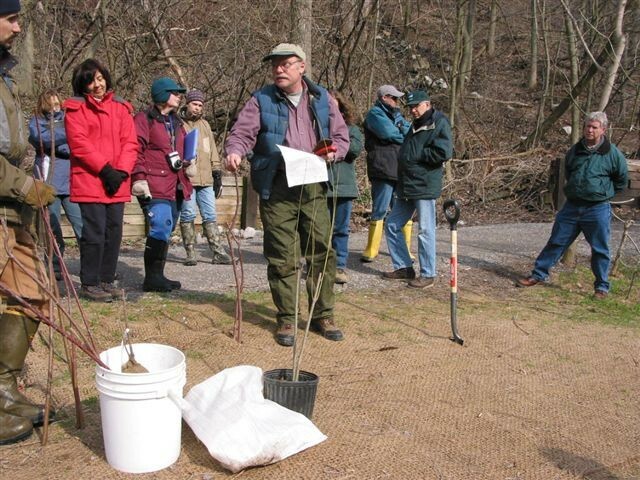 Since 2008, these educational field trips are held every year in the Fall for the UB classes, and public field trips. If you are interested in participating or wish to have a personal tour of the AOC, please email Scott.Collins@ny.nacdnet.net.